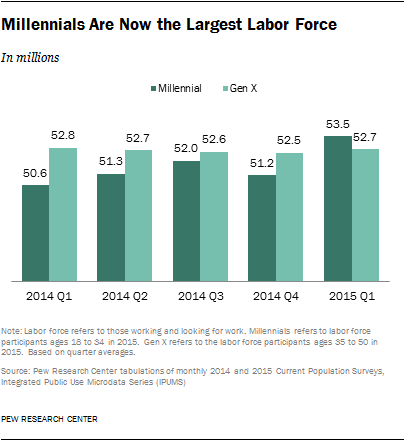 Millennials have become the largest group within the American workforce, with more than one-in-three American workers (adults ages 18 to 34 in 2015) being part of this group. They are on track to making up 50 percent of the workforce by year 2020. That means if employers want to retain and keep that top talent, they may need to rethink their strategies. According to a recent Deloitte’s Millennial Survey, only 28 per cent of Millennials feel that their current organization is making full use of their skills. This is due to many companies not fully understanding what Millennials want. They also believe (75 percent) businesses are focused on their own agendas rather than helping to improve society. The key to attracting and retaining them, though, is providing an empathetic culture that places equal importance on empathy and accountability. Nigel Dessau, chief marketing officer of Maynard, Massachusetts-based Stratus Technologies, who recently authored the book Become a 21st Century Executive: Breaking Away from the Pack has a few thoughts on working with Millennials. “Millennials have drastically different career aspirations, attitudes about work and knowledge of technologies,” Dessau said in a recent BizJournal article. That’s because changing times have led to different career goals and future plans between Baby Boomers, GenX-ers and Millennials, he said. While Baby Boomers typically set out to look for a job for life and GenX-ers were likely to change jobs but stay in the same industry, Millennials “will have up to 23 different careers,” Dessau said. Don’t confuse what motivates you with what motivates them. Learn what they value. Don’t assume that if you can’t see them, they aren’t working. Be flexible. They don’t always work a strict 9-to-5 schedule. Allow them some me-time. They like to be connected. Don’t expect them not to use social media. Make them part of your world. Instead of telling them “I told you so,” consider explaining your strategies and include them. Give feedback when they need it, not when you need it. Talk to them and give them constant feedback.